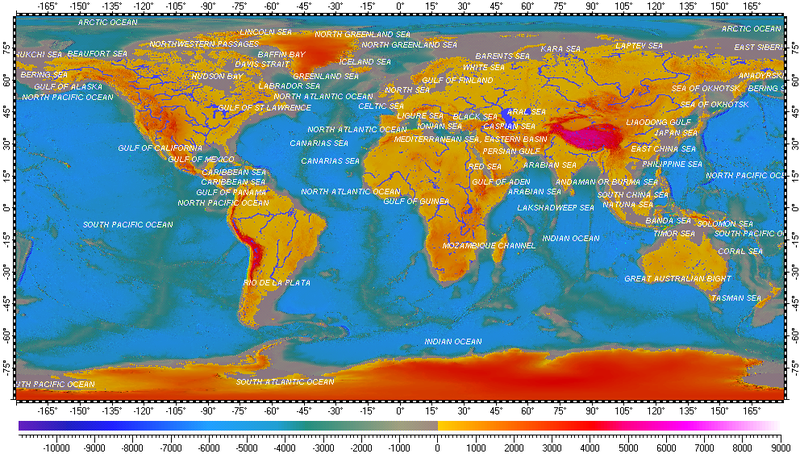 The map uses DEM on its background, derived from data of SRTM30 Plus compilation of UCSD and has resolution 30”. Installation archive “All vector layers of Earth”. Installation archive “Low resolution DEM of Earth with bathymetry”.